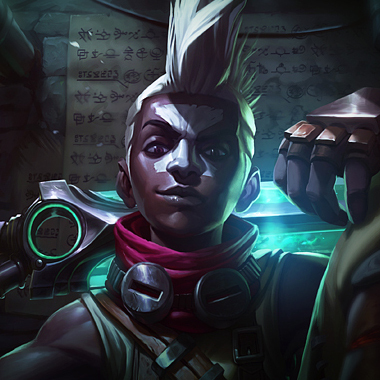 Meet Ekko, he's a high damage AP assassin, or a high survivability late game tank. He can trade well in lane thanks to his three hit passive and a temporary auto attack steroid on his dash, and has an ultimate that repositions him, makes him invulnerable and replenishes health giving him added survivability after six, and creating situations in which he can "Outplay" (See 'dive and hit R') his opponent, and survive without too much of an issue. 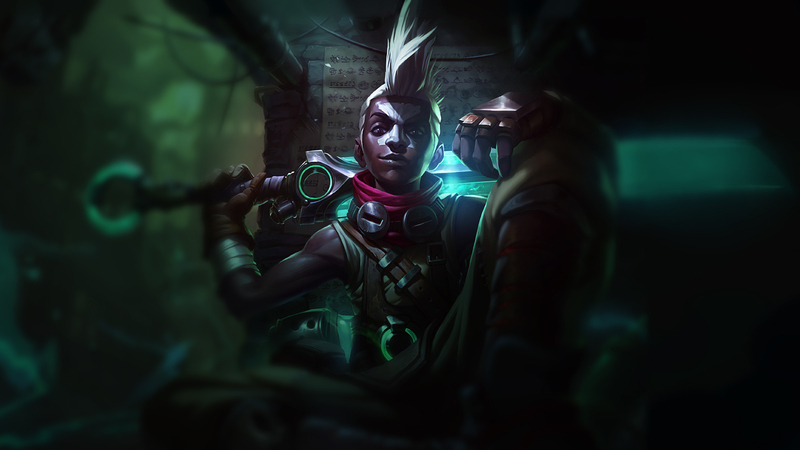 He can also escape ganks with the same tactic, or tank damage and CC and survive, this gives Ekko a lot of versatility in how he builds and plays, and forces people to play around the added health and possible extra burst that can come out of him. Ekko's basic attacks and damaging abilities apply Z-Drive Resonance to affected enemies, lasting up to 4 seconds and stacking up to 3 times. At 3 stacks, Z-Drive Resonance is consumed to deal magic damage to the target, applying spell effects and slowing them. Against enemy champions, Ekko also gains bonus movement speed. Vladimir deals damage to the enemy and heals. 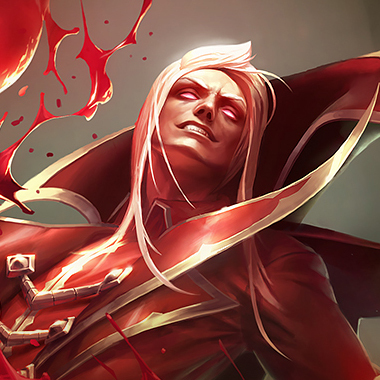 Once Transfusion is cast twice within a few seconds, the third cast of Transfusion deals extra damage, heals more, and gives Vladimir movement speed. Passive: Ekko's basic attacks deal 3% of the target's missing health bonus magic damage to targets below 30% of their maximum health. ACTIVE: Ekko calls upon an alternate version of himself that bats a device to the target location. After a total delay of 3 seconds, the device expands into a broad sphere that slows enemies only revealing itself to enemies in the last 0.5 seconds. If Ekko enters the sphere, it detonates, shielding him for 2 seconds and stunning all enemies inside. Ekko can detonate the sphere even while dead or untargetable. Ekko dashes towards the target location. His next basic attack gains range, deals bonus magic damage, applies on-hit and spell effects in the process, and causes Ekko to blink to his target. PASSIVE: While Chronobreak is not on cooldown, Ekko is followed by a time-delayed hologram of himself that tracks where he was 4 seconds ago. 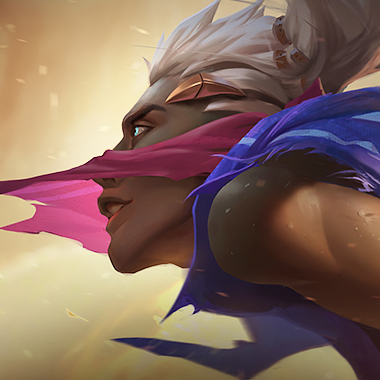 ACTIVE: After a short delay, Ekko blinks to his hologram's location, becoming briefly untargetable, dealing magic damage to surrounding enemies on arrival and healing himself. 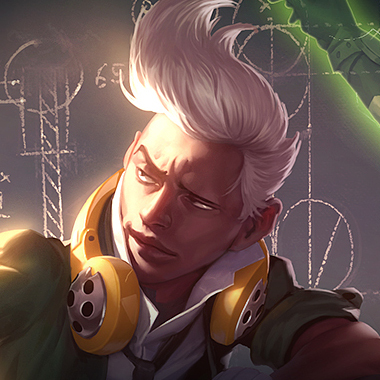 During the laning phase, Ekko is easier to trade with after he uses timewinder, which has 9 to 7 second cooldown. 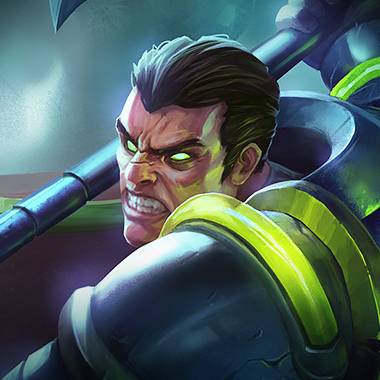 Use this time to hit him with abilities and establish lane dominance. Ekko isn't very strong when his ultimate is down. Trading favorably on him will force him to use it,and give you total control of the lane, until it's back up. At which point you will be ahead. A lot of Ekko's damage comes from the third hit of his passive, forcing him into situations where getting that third hit might be detrimental to his ability to win the lane is the key to beating him. Try building your minion wave to force him into a bad time if he choose to try and Q-E-Auto and don'tbe afraid to trade onto him if he does take the fight. Ekko's biggest ability outside of the laning phase is Parallel Convergance. You can see the field coming out before it lands, so try to avoid standing in it, have have enough threat so that if he chooses to try and detonate it, he may die when the stun wears off. 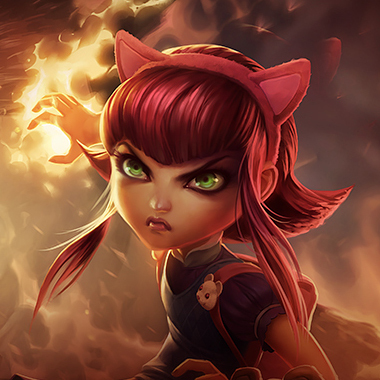 This little girl will never let Ekko ult. If he buys Merc Treads it's a possibility that early, he might get a chance, when her burst isn't at it's peak, but generally, she'll just destroy him, especially if they're laning against each other. It doesn't help that she doesn't require any form of precise aim. If you can dodge a timewinder, you can win this lane easily. Darius will eat the three hits, realize Ekko used his dash for the extra damage, pull himback in, and get to work. Ekko really can't 1v1 this man without some serious level of outplay. Now, if Ekko survives the laning phase, obviously Darius experiences falloff but while their in lane, Darius decides how it plays out. He builds Spirits Visage like he wants to, and no longer cares about anything. Even in the top lane, Ekko's damage is significantly magic until mid-game. Vlad's whole thing is that he doesn't die, and builds Spirits Visage and continues to not die. When he gets his Visage, he canjust harass Ekko constantly. He might never kill him, but he'll harass him and outfarm him. Build MRES, that's really all anyone can do against Ekko. Unless he's in the top lane, in which case, build mixed resistances (You should do that anyway, their team has an AD Carry. Or it should.) Early game Cowl, and then look at what he's building. If it's Triforce, you can afford to gointo Ninja Tabi. If it's anything AP, just focus on getting more Mres and itemizing against the rest of the team.